If you are a woman commencing engineering studies in 2013 in the School of Aerospace, Mechanical and Manufacturing Engineering, this scholarship can provide you financial assistance within your first year of study. The scholarship pays $5000 for one year (first year). be available for an interview if shortlisted. In person: School of Aerospace, Mechanical & Manufacturing Engineering, Building 57, Level 3 (Reception) City Campus, Corner Lygon and Queensberry Streets, Carlton. For the 2013 academic year, applications open Monday 3 September 2012. For the 2013 academic year, applications close 5pm Friday 22 February 2013. As holder of this scholarship you must maintain at least satisfactory academic performance. The scholarship will be paid in two instalments: $2500 in April/May and $2500 in September. The scholarships seek to recognise and reward talented female students who can demonstrate outstanding levels of academic achievement. Contact Louise Walker, School of Aerospace, Mechanical and Manufacturing Engineering. 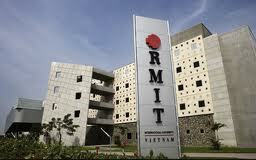 Demikianlah artikel mengenai Women in Engineering Scholarship, RMIT University, Australia Semoga Bermanfaat Bagi Anda.